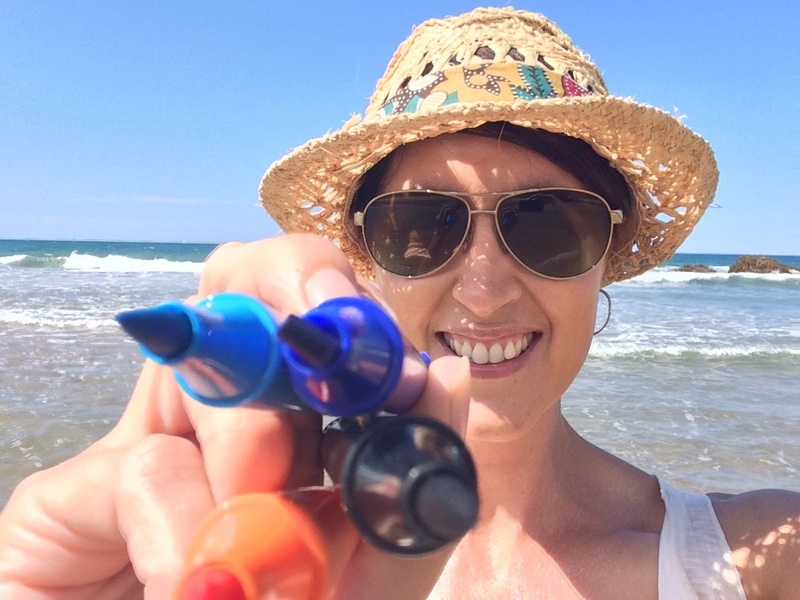 As a scientist, artist and author/illustrator I am living a life of STEAM (Science, Technology, Engineering, ARTs and Mathematics) BUT I also run my own small business, so as an Entrepreneur I am proudly living my life with ESTEAM (Entrepreneurship, Science, Technology, Engineering, Arts, Mathematics)! 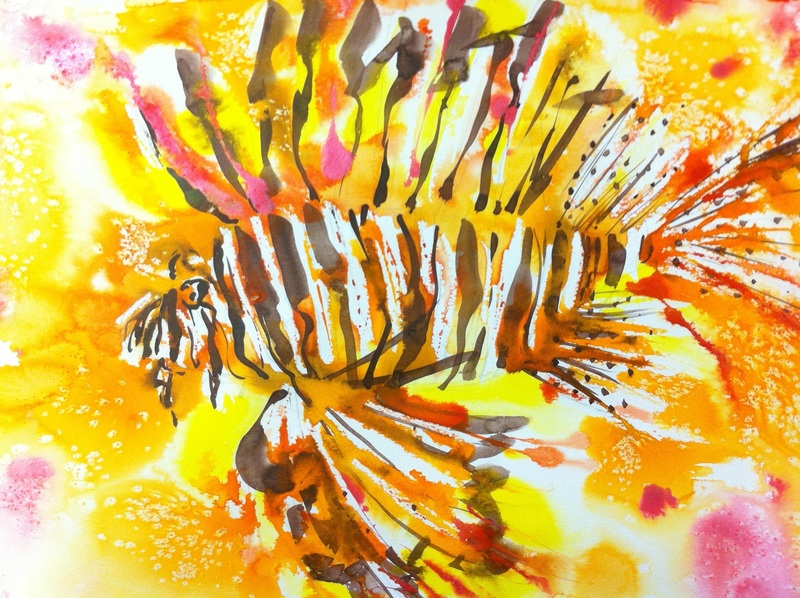 By using the art of science you can see more about how I share my life of ESTEAM. 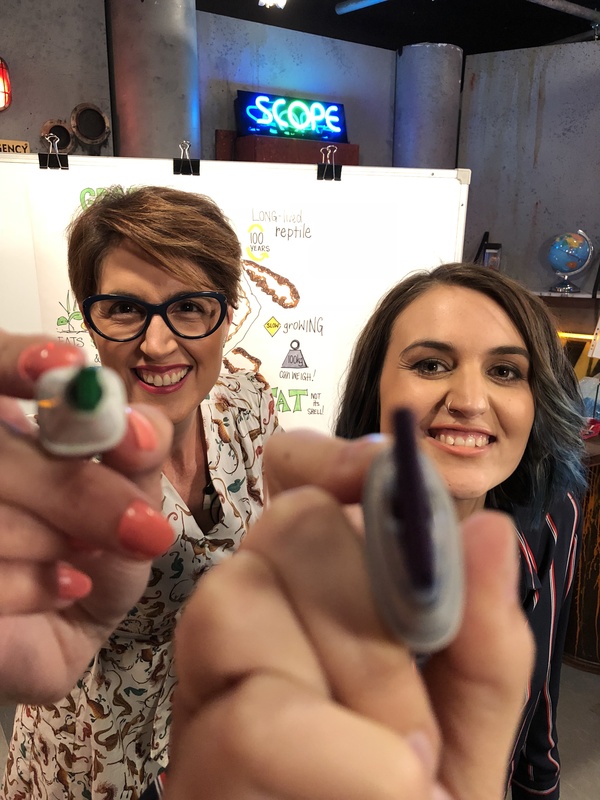 My COMM-Ocean (interviews and podcasts)! 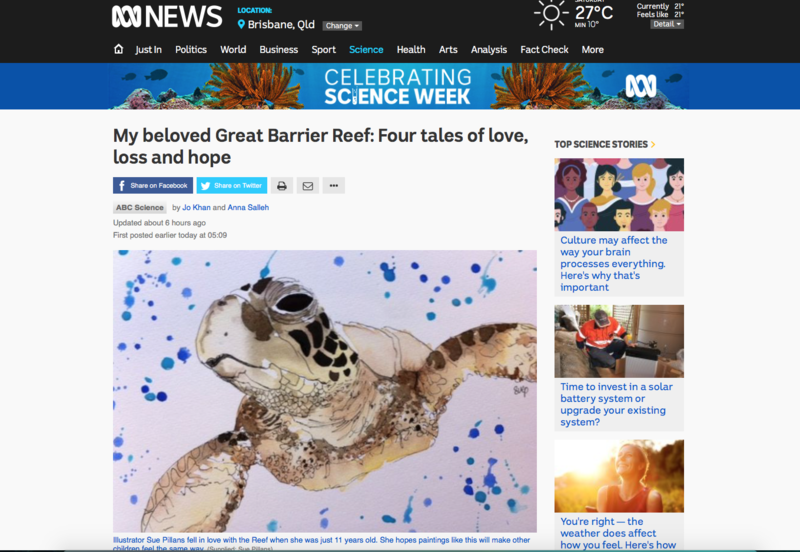 My reef reflections, an interview with ABC Radio National (Science program) discussing my connection with our Great Barrier Reef including what it was like to ‘sea’ the Reef for the first time when I was 11 years old, My beloved Great Barrier Reef: Four tales of love, loss and hope. 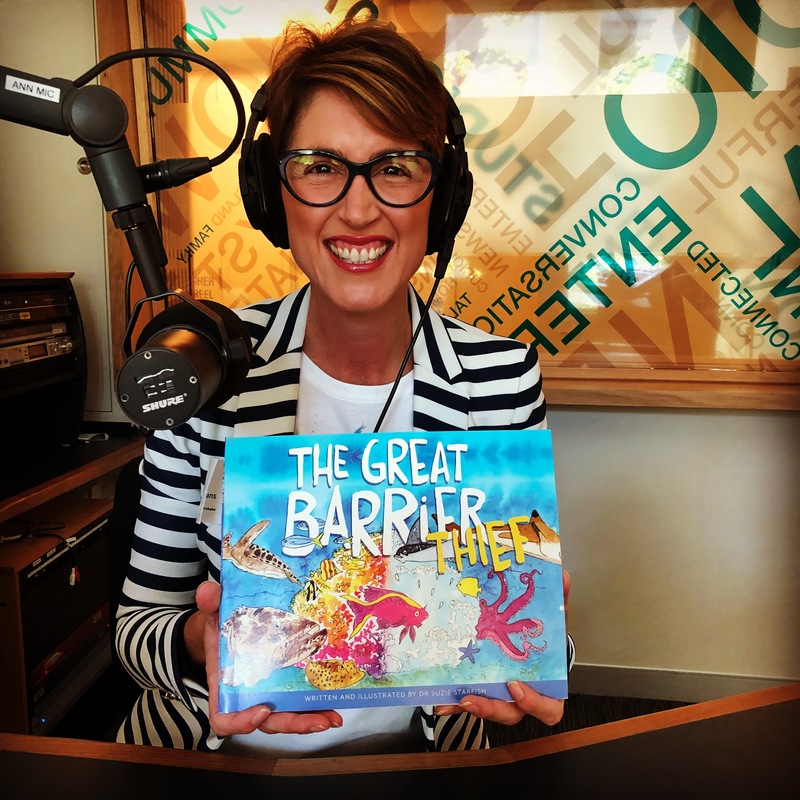 I also revealed the title of my first children’s picture book, The Great Barrier Thief, and talked about how through these words and pictures I want to illustrate the impacts of climate change on the Great Barrier Reef with messages of hope. 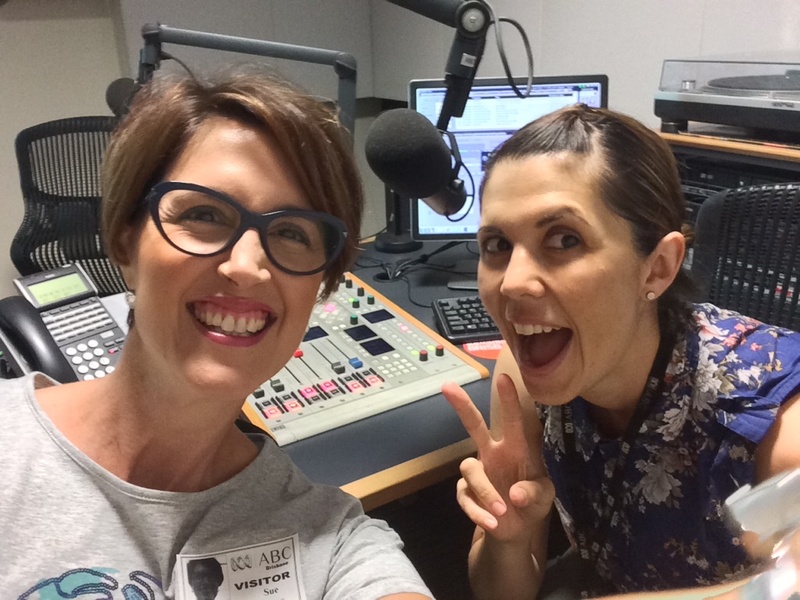 Moreton Bay science, a podcast with Katie Walters (PhD student of Griffith University) where I talk about all things Moreton Bay as I have quite the connection to the beautiful bay backyard of Brisbane. 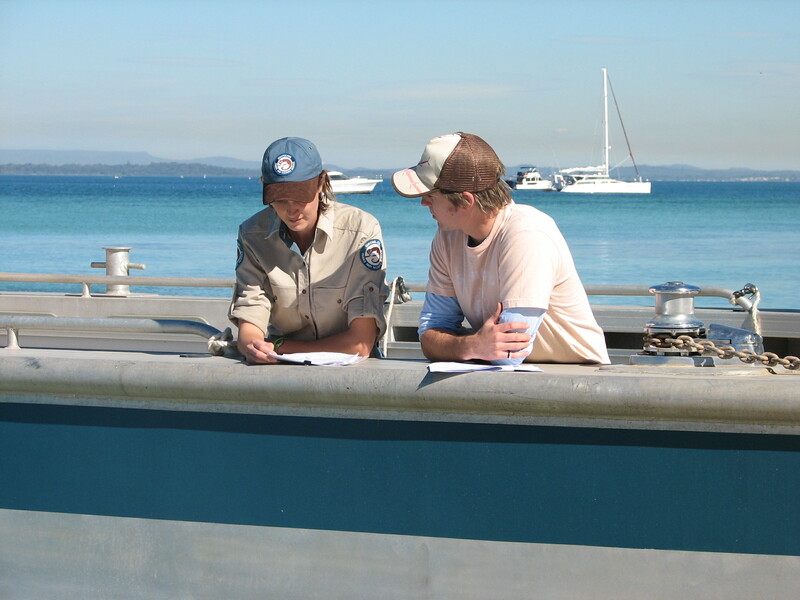 I carried out my PhD research in Moreton Bay, I have worked on many Moreton Bay Marine Park issues and I spend a lot of my time on, in and under the waters of Moreton Bay. 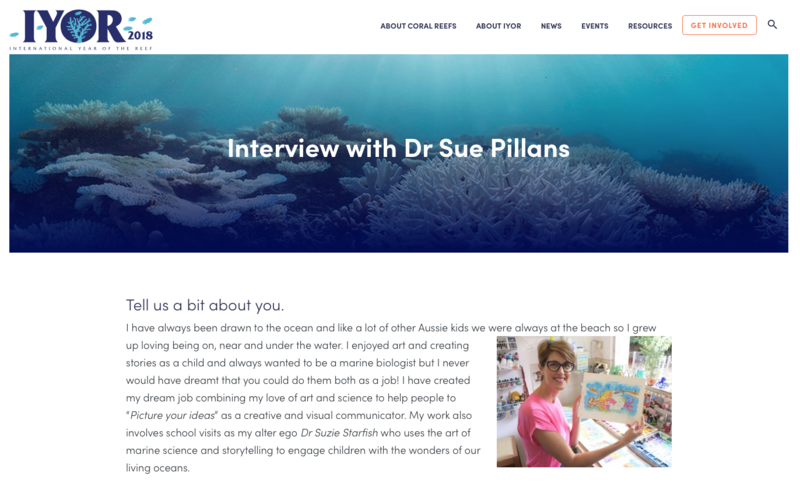 You can listen to this podcast at http://moretonbayonline.libsyn.com/mbop04-sue-pillans?tdest_id=892082 and read the interview at https://moretonbayscience.com/2019/02/15/podcast-episode-sue-pillans/amp/?__twitter_impression=true. 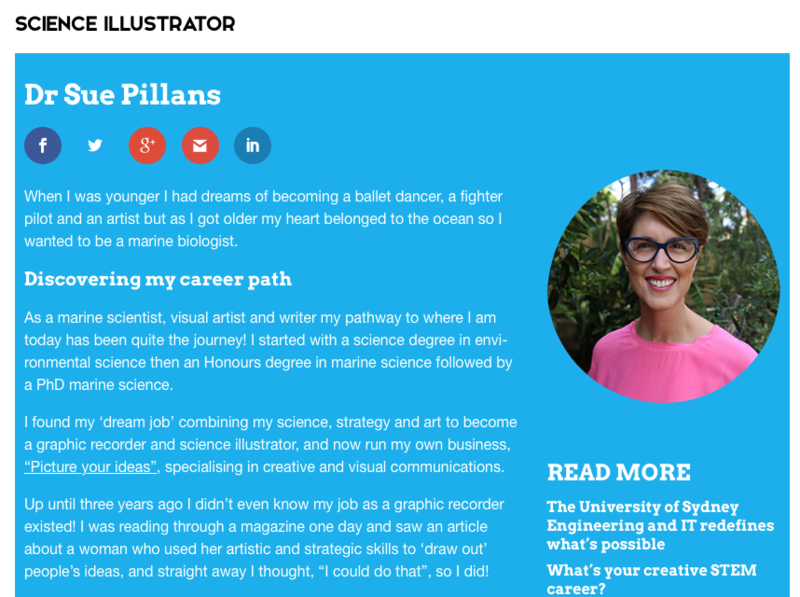 My Art & Science, thrilled that my journey as a science illustrator ‘drawing’ on my experience as a marine scientist, artist and visual communicator was profiled by Careers with STEM. 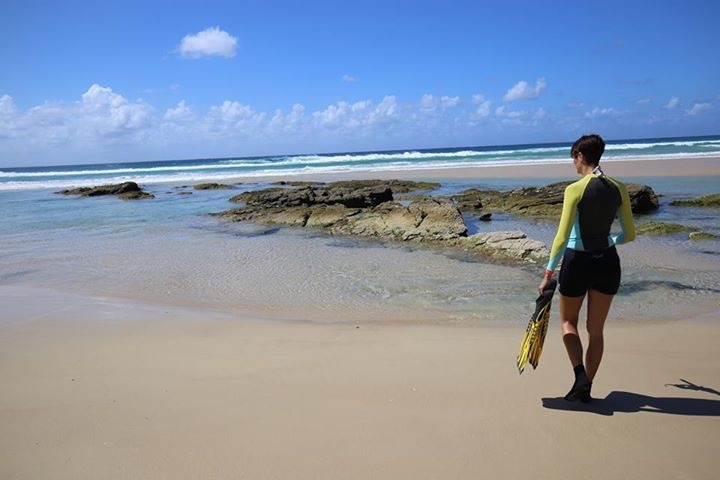 ‘Sea’ how I went from wanting to be a ballet dancer and fighter pilot to using the art and science of marine storytelling to share my devotion for the ocean. 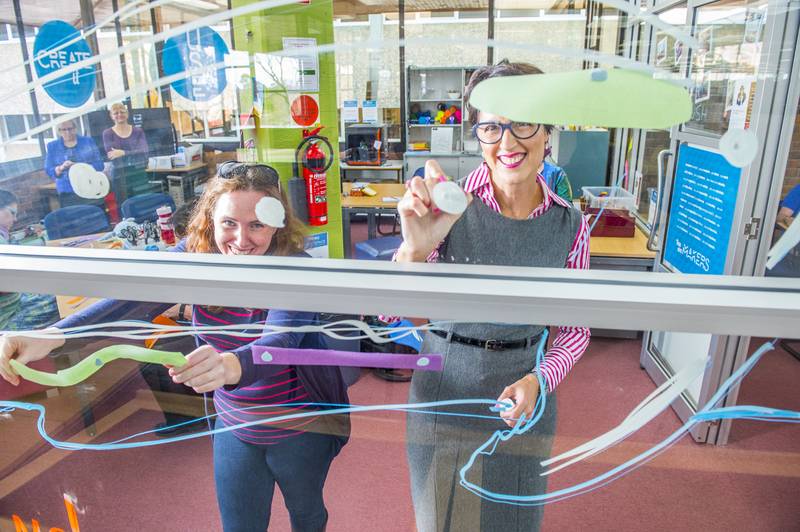 ‘How I Got My Job’, an interview I did with the talented Leah Cannon of the Life Science Network. 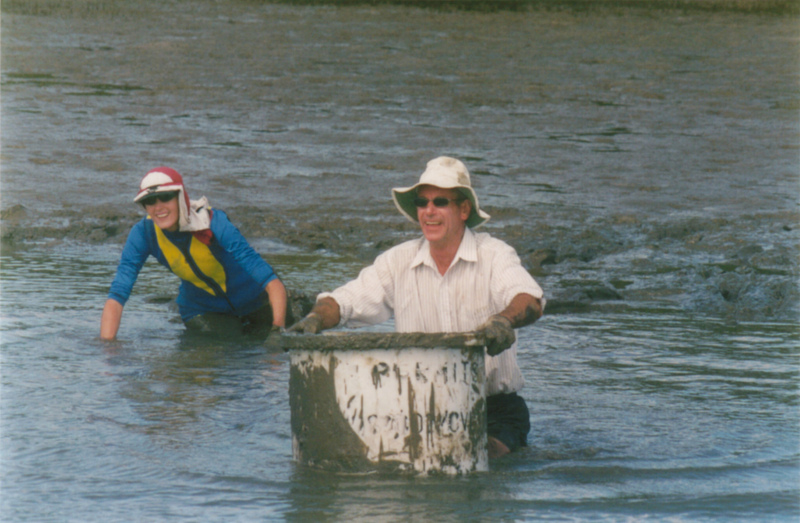 You can read how I went from the muddy waters of Moreton Bay to TV appearances about Marine Parks to running my own small business and living a life of ESTEAM at How I Got My Job. 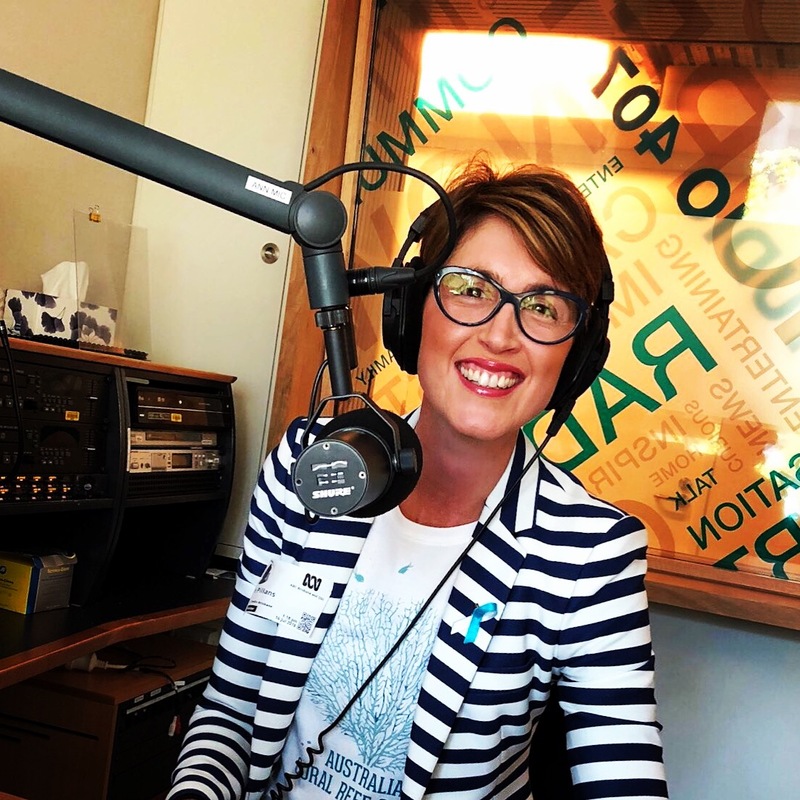 Love the Reef, radio interview with the amazing Johanna Khan of ABC Science for Radio National talking about my love and connection to the Great Barrier Reef. 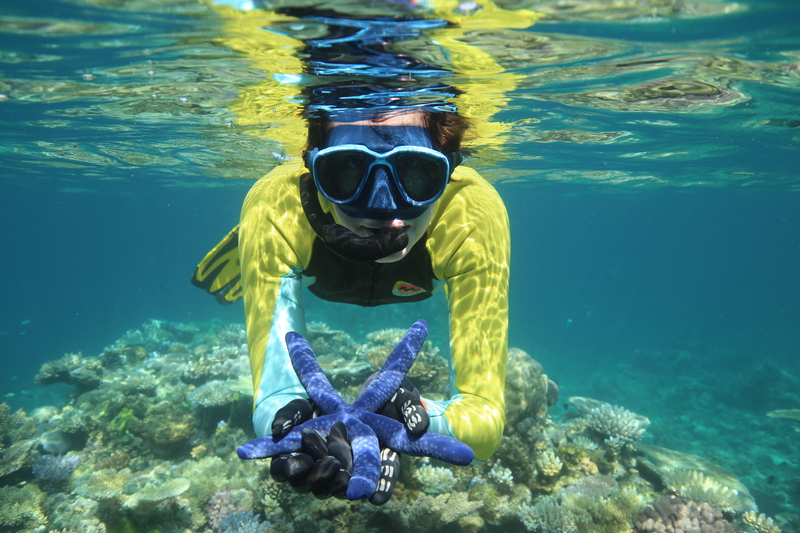 I also revealed the title of my first children’s picture book about the challenges facing the Reef (by my alter ego Dr Suzie Starfish), which will be aired during National Science Week 2018! 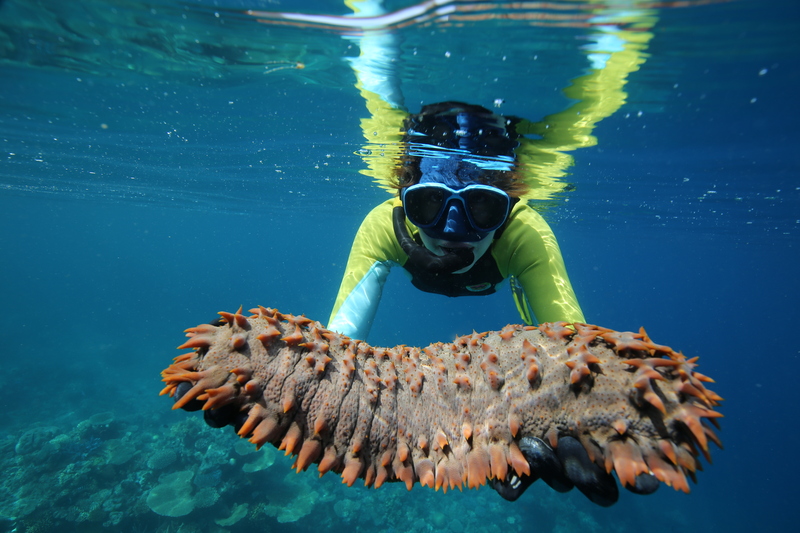 Stay tuned for the interview to celebrating the International Year of the Reef!! 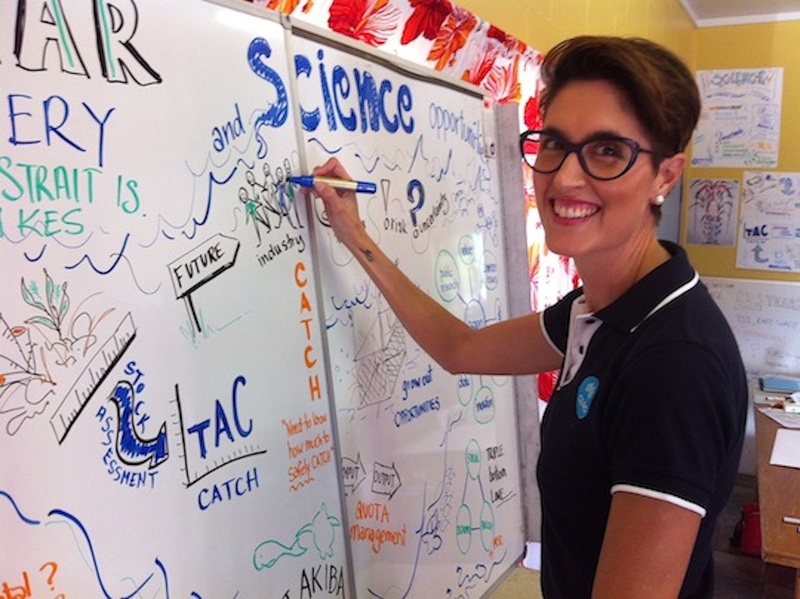 ‘Using art to brush up on ocean science’, radio interview with the lovely Jessica Hinchliffe of ABC Radio. 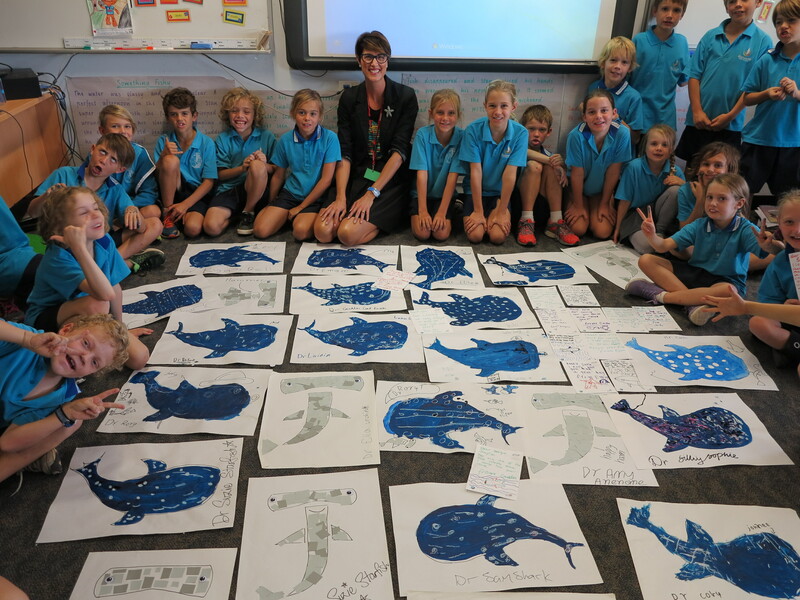 You can ‘sea’ how I Turn Ocean Science into Art and hear how I Use Art to Teach and communicate. 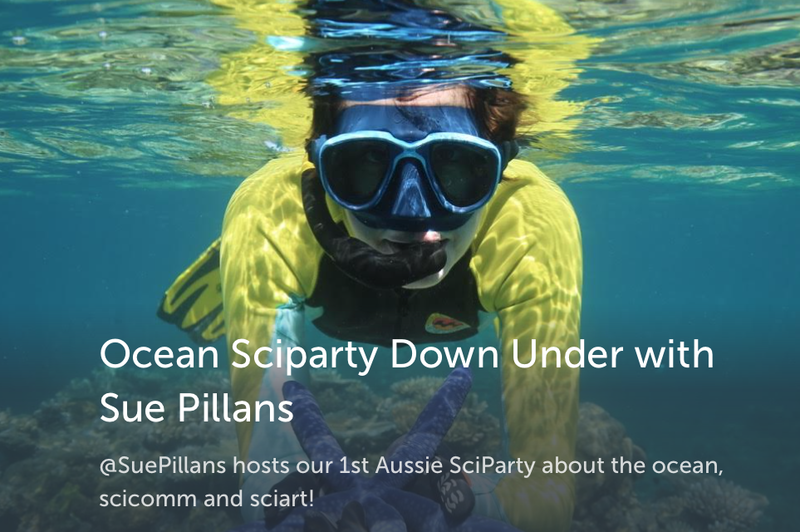 ‘Join in the COMM-ocean’, where I hosted the weekly #Sciparty on Twitter about all things ocean sciart, scicomm and education, all with #OceanOptimism! You can ‘sea’ here the COMMocean Sciparty. 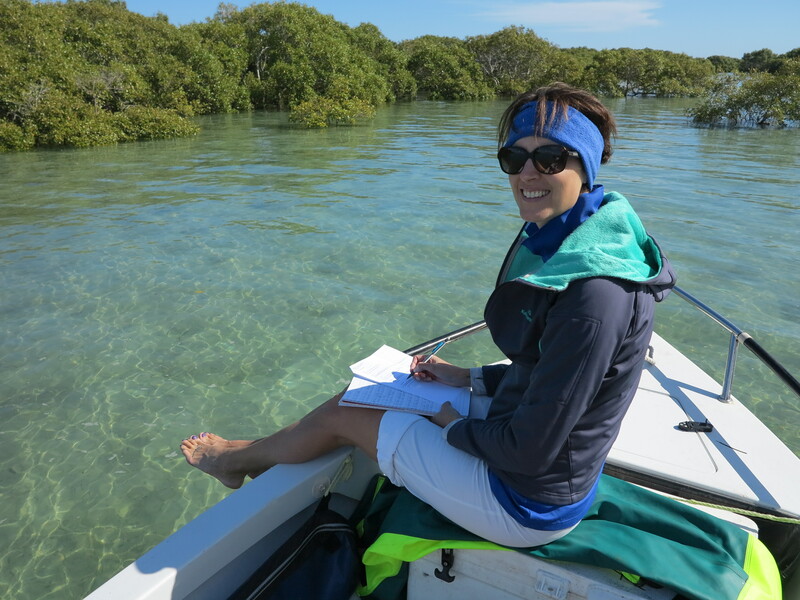 ‘Blogging about all things science’ (Interview), with Dr Paige Brown Jarreau, From the Lab Bench. 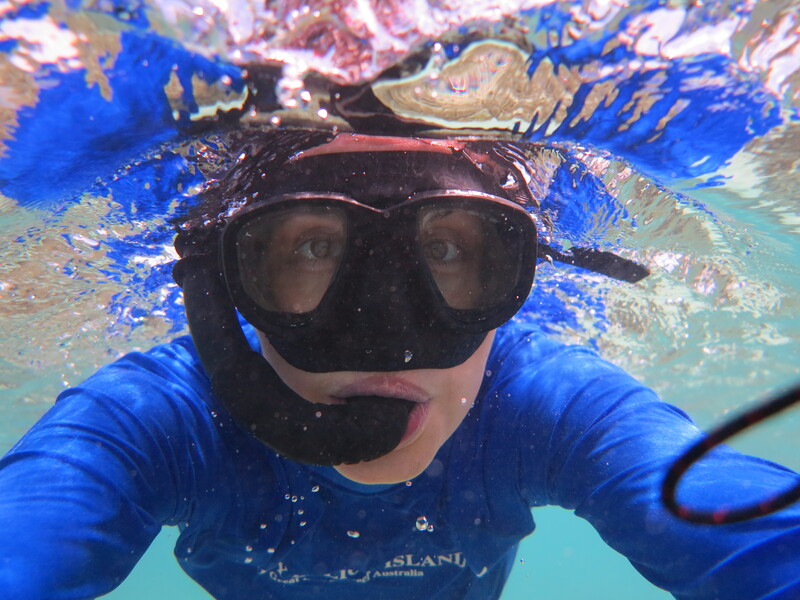 You can read about how I use Instagram (and other social media) to communicate the Art of Science for our oceans. 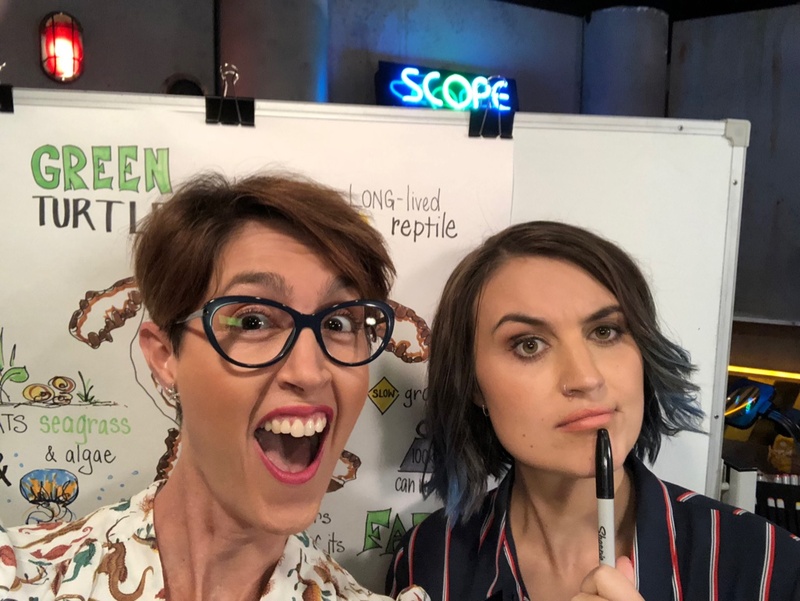 ‘Science communication’ (Podcast), Dr Mike Ographer and Dr Karen Ring from #SciComm #SciParty. 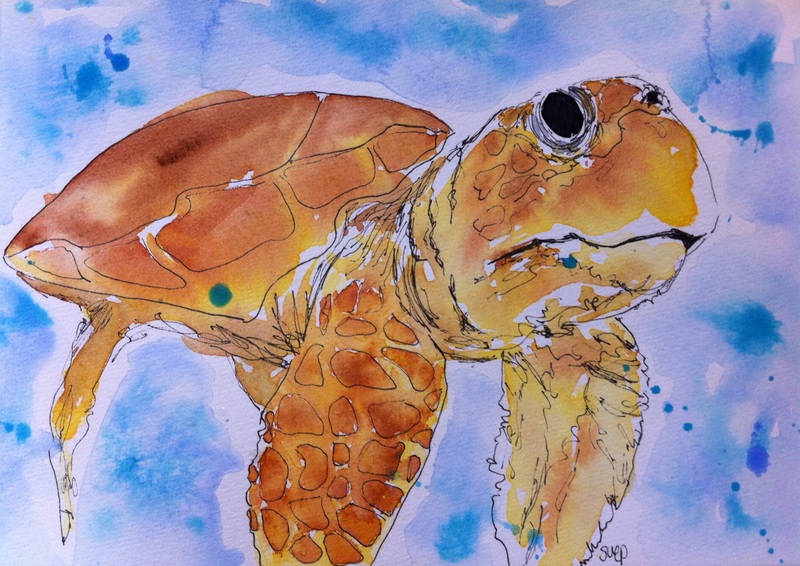 You can hear how I use the art of science in my Ocean storytelling. 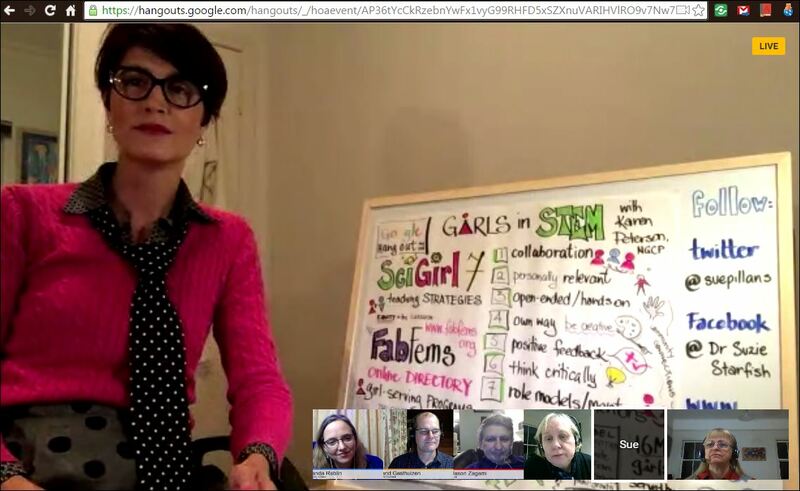 ‘Girls in STEM’ (Google Hangout), with Dr Karen Peterson and ACCELN (Australian Council for Computers in Education Learning Network). 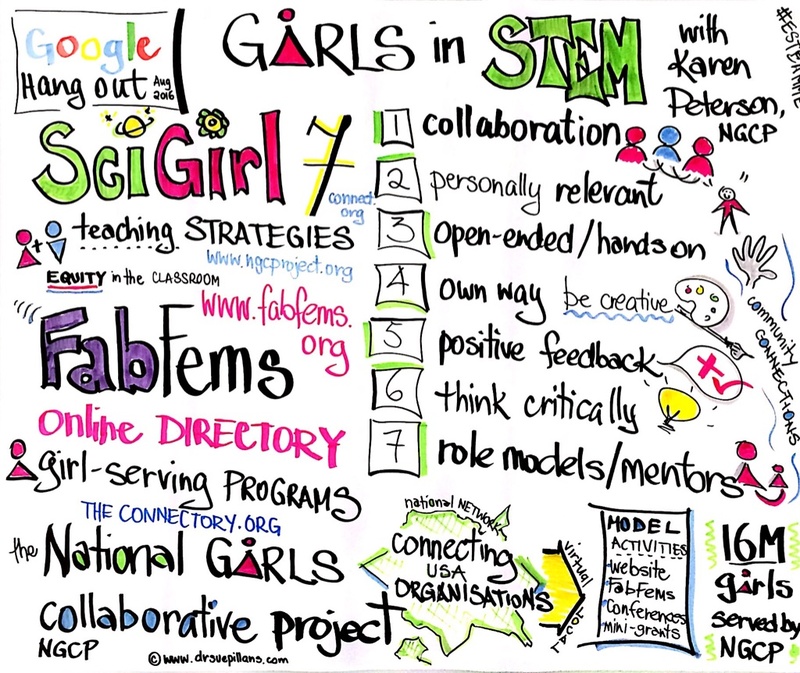 Watch me graphically record ‘live’ this Google Hangout with Dr Karen Peterson, CEO of the National Girls Collaborative Project (USA) and ACCELN to draw out the ideas and challenges of Girls in STEM. 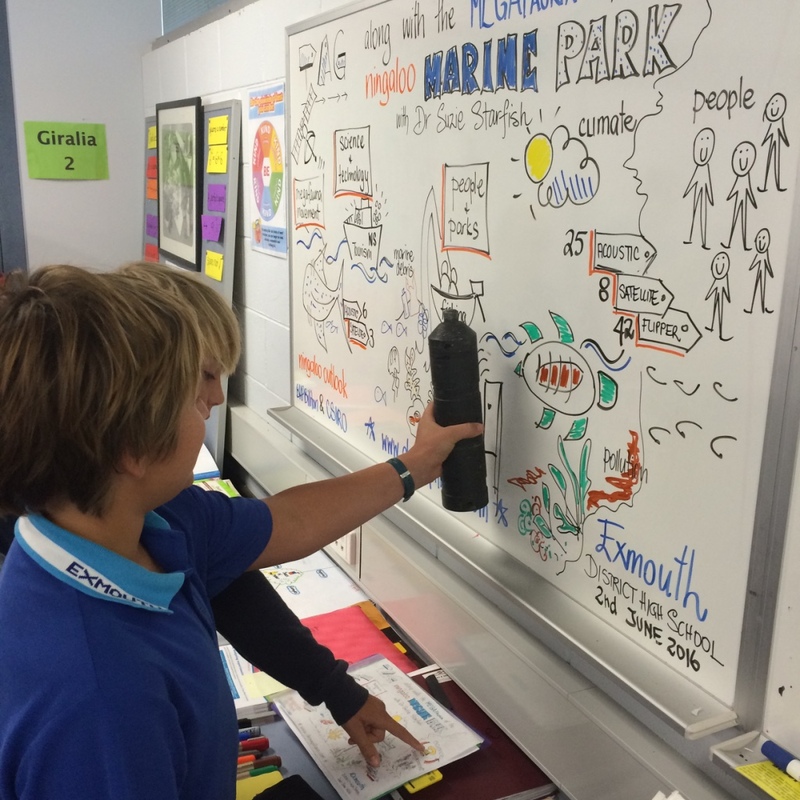 ‘The art of storytelling’, featured in article for Currie Communications on visual storytelling. You can read more about The art of storytelling. 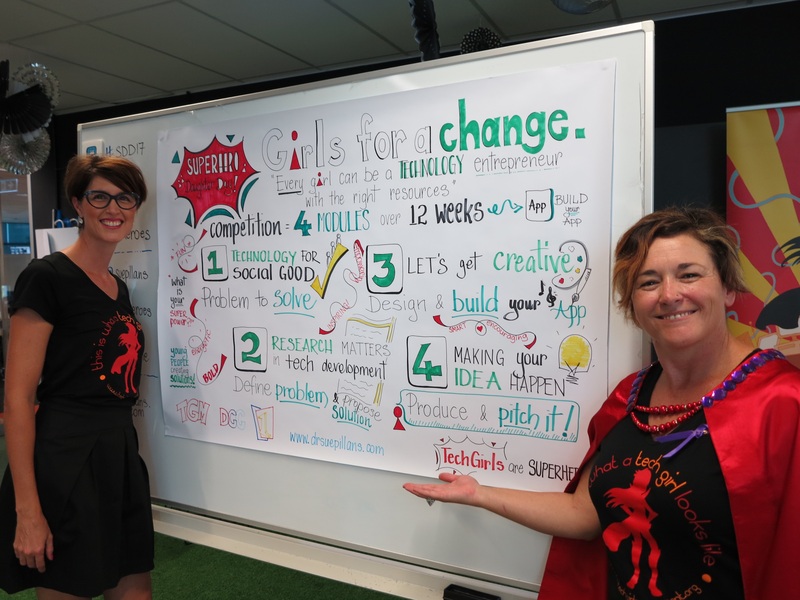 I’m thrilled to be a supporter of the Tech Girls Movement , a non-profit organisation promoting positive female information technology role models to encourage and raise awareness of technology career options for girls. I am working with the founder, Dr Jenine Beekhuyzen aka. 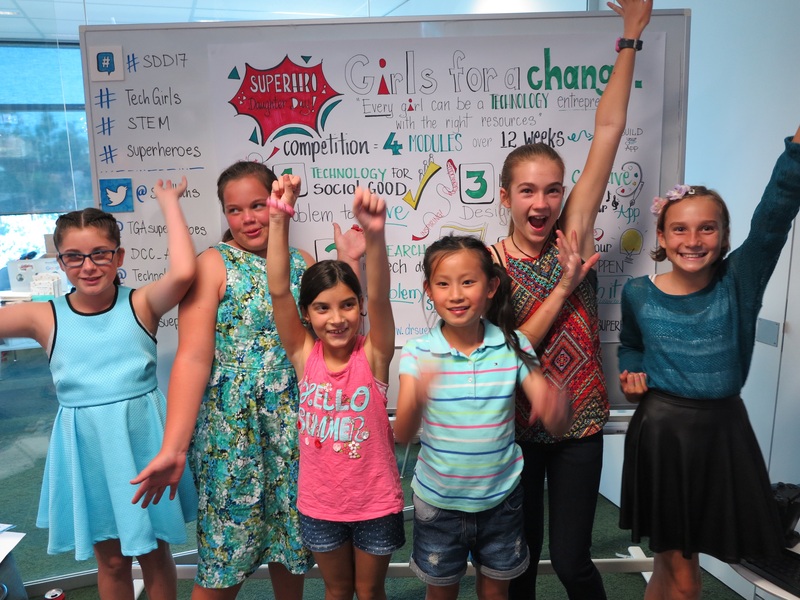 Jewella Superhero, and the Superhero team to help girls ‘picture their ideas’ by putting the “A” in STEAM. 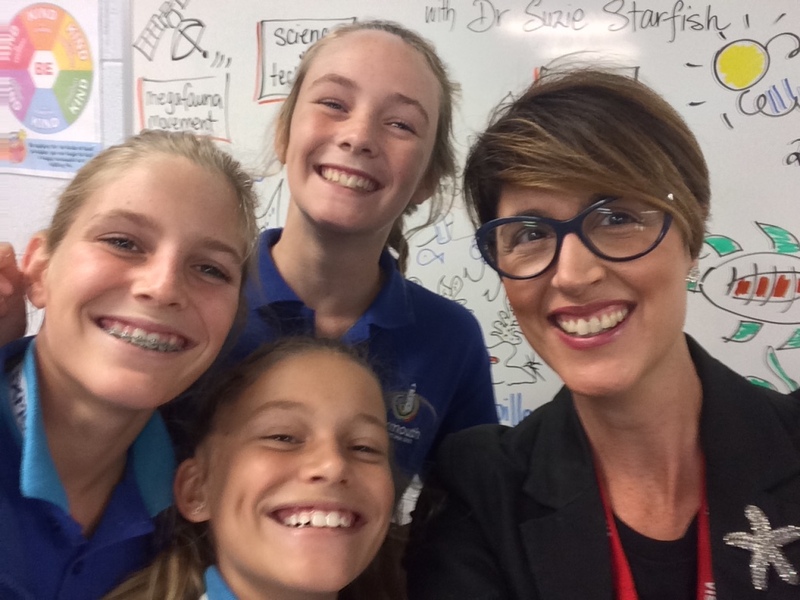 I just love getting to work with real-life Superheroes, as I did for Superhero Daughter Day held in Brisbane!! 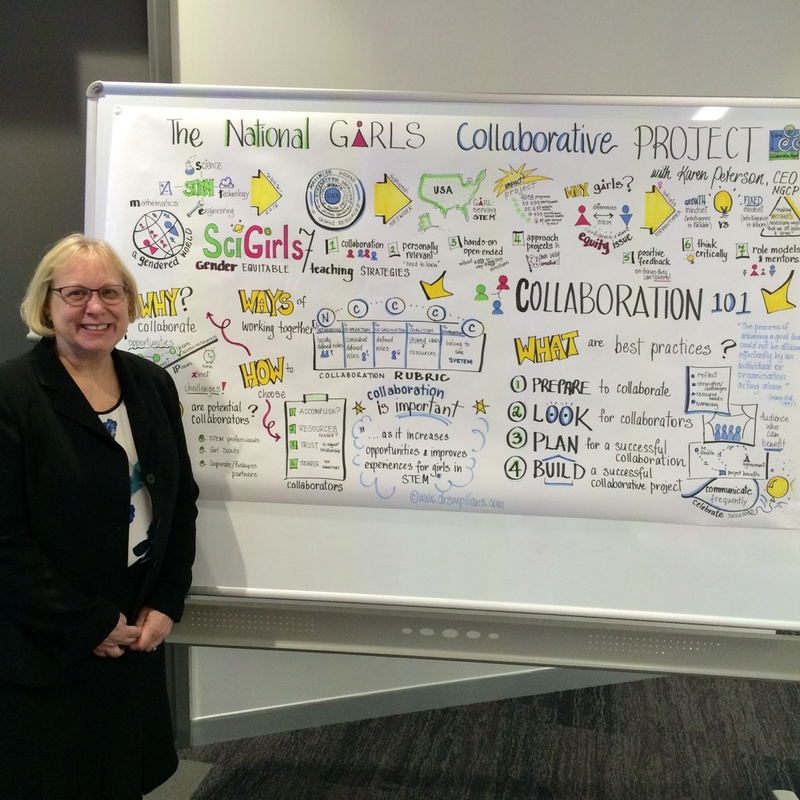 As part of my work with the National Girls Collaborative Project (NGCP) and the University of Southern Queensland (USQ) during National Science Week I was privileged to ‘draw out’ the Girls in STEM experiences of Karen Peterson, CEO of the NGCP. 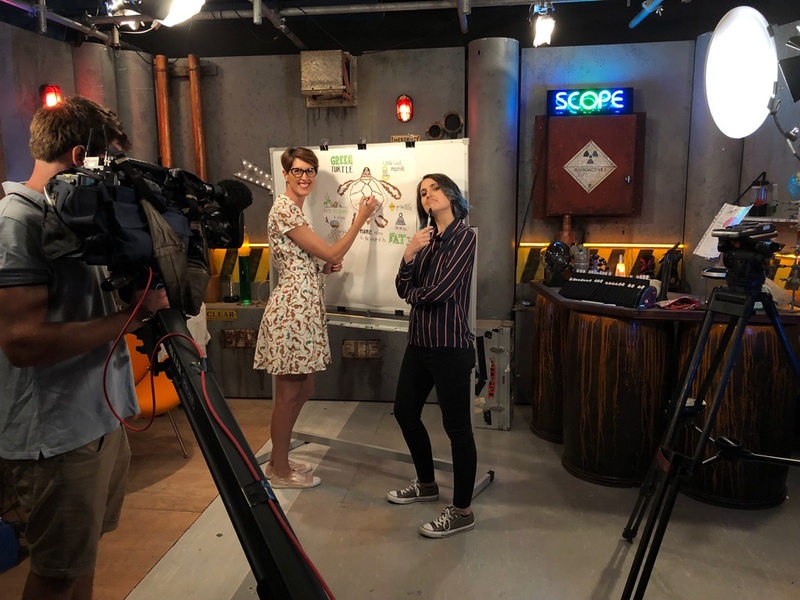 You can see more of the Girls in STEM adventure ‘downunder’ in the NGCP Storify. 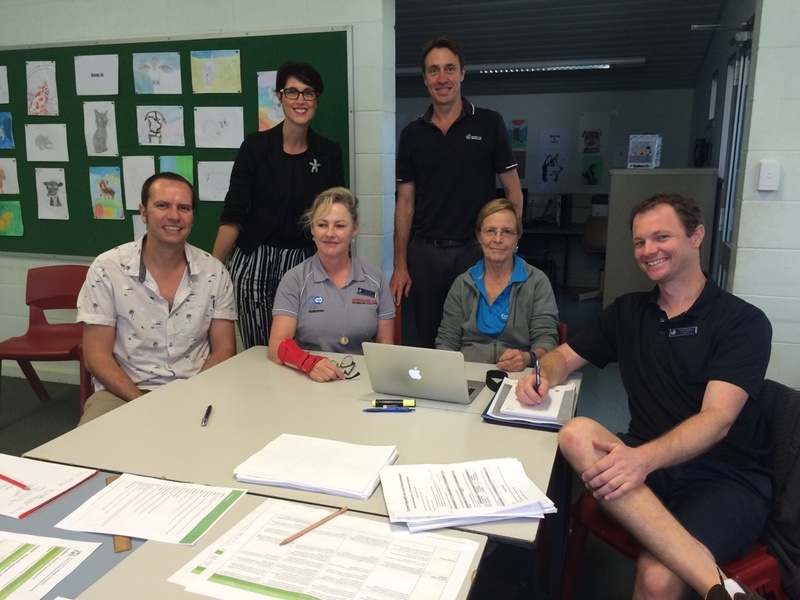 Due to my STEM background and experiences I am invited to schools to provide input and advice into science curriculum planning and school incursions about the science of our Living Oceans. 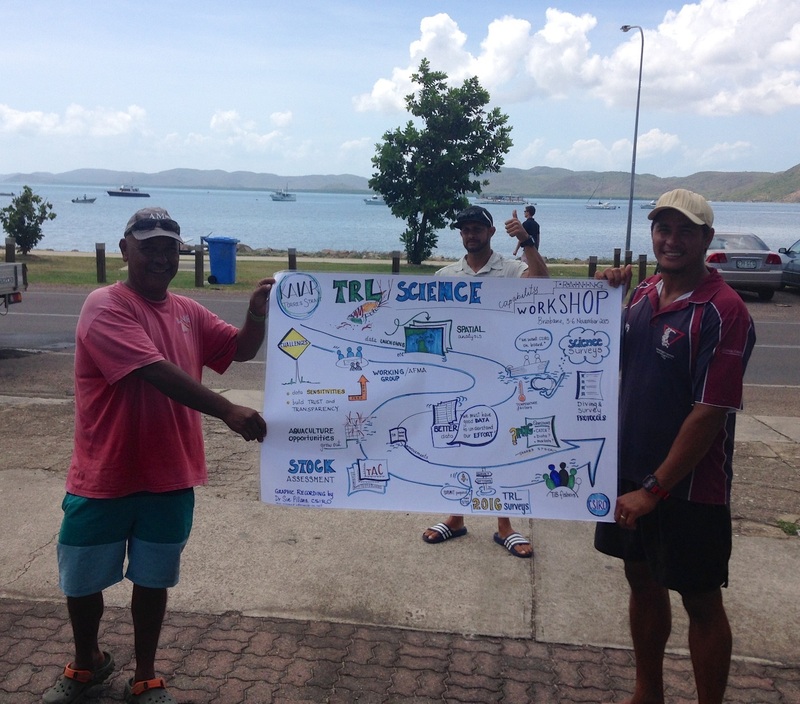 You can view my Queensland STEM in Action profile as a Marine Ecologist & Artist. 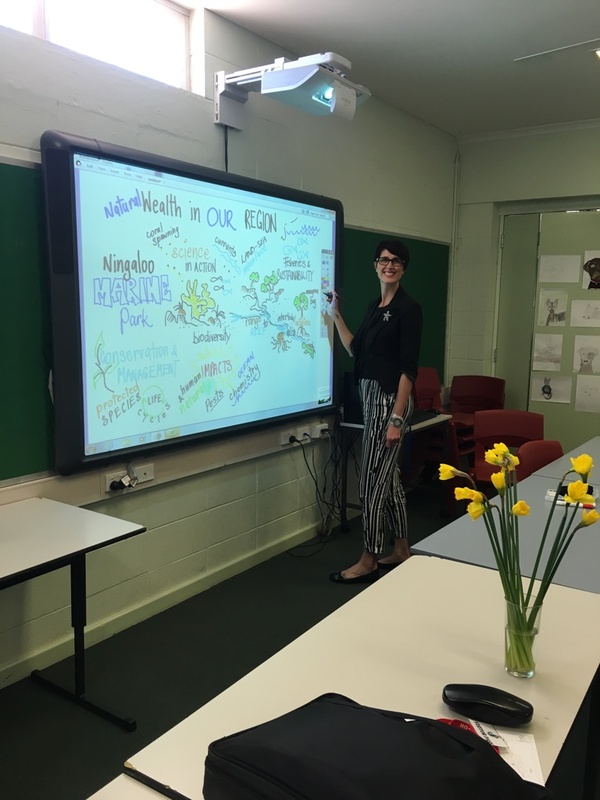 As part of my work with CSIRO and BHP on the Ningaloo Outlook project I recently visited with the High School science teachers of Exmouth District High School to discuss further how my science incursions could use more graphic recording to help with science learning and retention. As you can see below we were all smiles talking creative science and of course I had to ‘picture’ our groups science ideas! 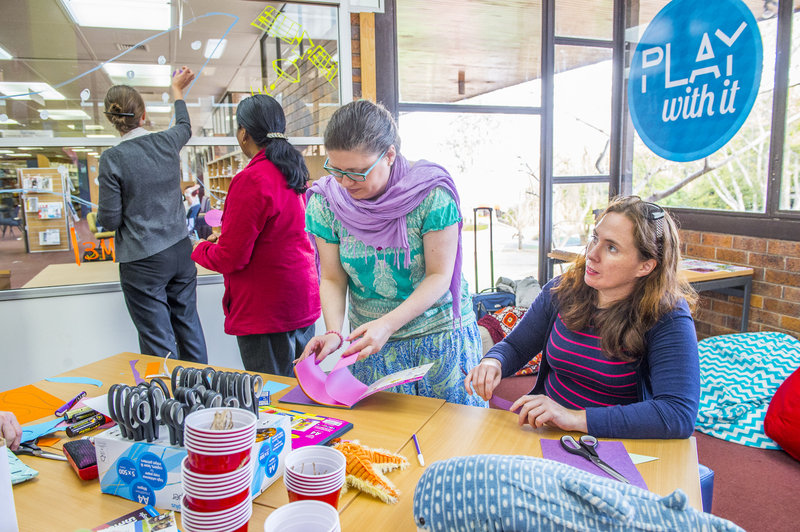 I would love the opportunity to collaborate with anyone who shares in my passion for a life of STEAM to provide creative education to all, no matter of their location or circumstances. 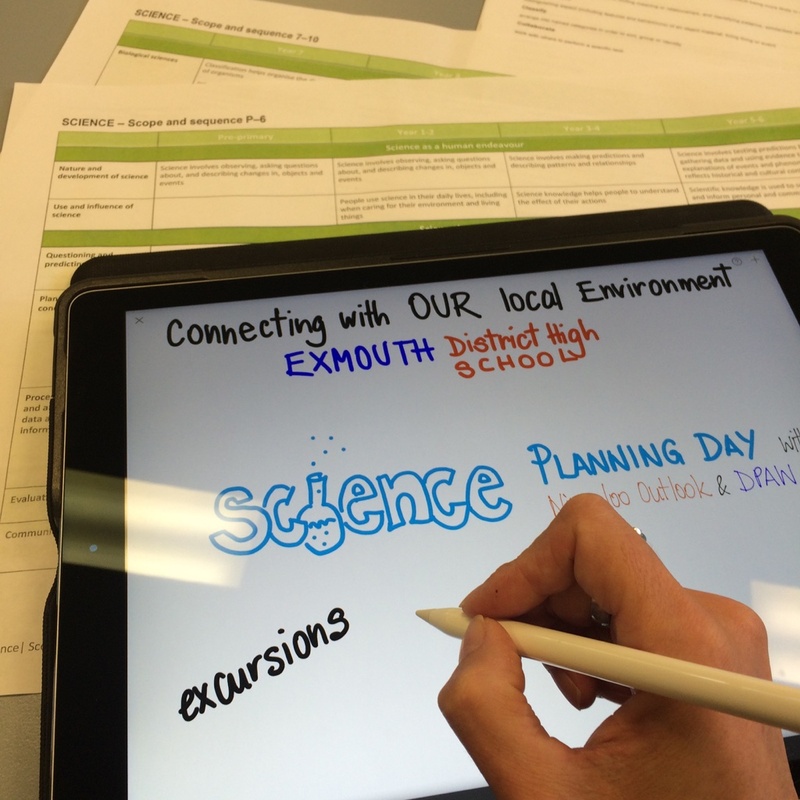 if you are interested in collaborating in Creative ESTEAM Education.